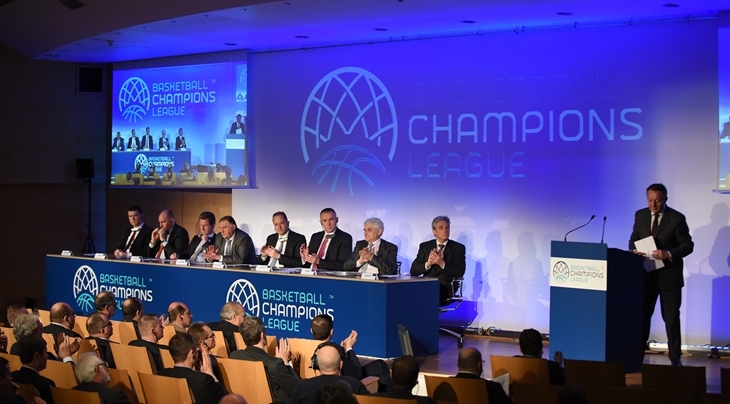 FIBA is saying all the right things, but will the Champions League replace the Eurocup in time or just be another failed venture in the club scene for the basketball federation? I have already done a post about the Eurocup field, and after some time, and the announcement of the teams participating, I am going to do a similar analysis for the FIBA Champions League, FIBA’s newest venture in the club basketball scene. This is going to deviate a little from the Eurocup post, as it will not just be about the teams, but will also bring up some points about the FIBA Champions League in general, as this “civil war” between FIBA and the Euroleague company continues to impact basketball in Europe in a negative way, affecting not only the club basketball scene in Europe, but international basketball as well. So, let’s take a look at some thoughts about the Champions League field and its outlook for 2016-2017. The field is certainly a step up from the EuroChallenge days. Strasbourg is the kind of team FIBA wouldn’t have been able to lure to their former competition, the EuroChallenge, in the past. However, fed up with being a “bronze” candidate in the European club basketball scene, FIBA decided to compete directly with the Eurocup starting last year with the FIBA Europe Cup. However, the league failed to gain traction, and the Champions League decided to re-tool their image and tried to come up with a more hard-line strategy to promote their new competition (mostly involving sanctioning countries and clubs who preferred the Eurocup over the Champions League). Surprisingly, while the competition may still not be as strong as the Eurocup (mostly due to the Euroleague’s new format, which involves 8 less teams, thus pushing those clubs to the Eurocup), the Champions League should have a solid debut competition-wise. As noted in my earlier post about the Eurocup, French and Turkish clubs who would have been competing in second-tier competition have decided to participate in the Champions League, and this has boosted the competitiveness of the field in comparison to FIBA’s previous club competitions. 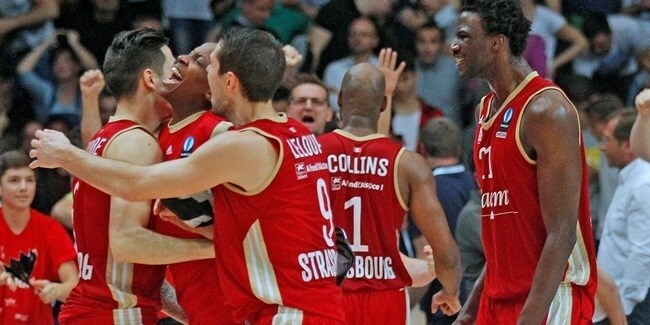 French clubs like ASVEL and Strasbourg, and Turkish clubs like Besiktas and Pinar Karsiyaka would have been strong competitors in the Eurocup this upcoming season (Strasbourg made the Eurocup finals last season), and the fact that FIBA was able to get them to participate in their inaugural season should boost the profile of their competition in ways the Europe Cup or EuroChallenge couldn’t in the past. Yet even beyond France and Turkey, two major basketball countries, there is a good mix of competitive clubs from all over Europe. Aris and PAOK from Greece, Iberostar Tenerife from Spain, reigning Europe Cup champion Fraport Skyliners from Germany, Mega Leks from Serbia, Cibona from Croatia, Neptunas from Lithuania, Maccabi Rishon from Israel and Khimik from Ukraine are all quality clubs who have experience in second-tier competition, with some (such as Neptunas) having Euroleague history. Perhaps the Eurocup has a bit of an advantage over the Champions League in terms of quality of competition, but for a debut year, and only two years removed from being primarily a third-tier competition, FIBA did a pretty good job in acquiring clubs that will make the Champions League interesting to follow. The competition will be more about quantity than quality initially. Kataja of Finland is one of the 48 clubs that will be competing in the CL, 24 more than the Eurocup, and 32 more than the Euroleague. With a total of 48 teams participating, the Champions League will follow a format similar to the old Eurocup model: a handful of smaller, lesser-profile clubs will play in a couple of qualifying rounds before a 14 round regular season made up of 32 teams. After the regular season, the best 16 teams will make the playoffs, which will progress until they reach the Final Four, where the winner will be determined over a weekend, similar in fashion to the Euroleague and Eurocup Final Four structure (single elimination). The nice thing about the Champions League’s model is that it will expose fans to A LOT of teams, and from countries many people don’t think of when it comes to basketball in Europe. Yes, people are familiar with Spain, Greece, Germany, and Italy’s basketball history, but in the qualifying round, there will be clubs from Portugal, Romania, Estonia, Finland, and Belarus, just to name a few. This kind of country exposure is good for the game of basketball, especially for clubs from countries that don’t necessarily get a lot of media or television attention when it comes to basketball. Now, that’s not saying they’re going to have much impact. I can’t imagine Portugal for example, whose basketball teams don’t have the funding of say an Aris in Greece, will be able to compete talent-wise with clubs from major basketball countries beyond the qualifying round, should they make it past that. But to be able to see these clubs compete, even for a little while, should satisfy the basketball junkie who is looking for different clubs and styles beyond what is seen in the Euroleague and Eurocup. And that is one thing that the Champions League has going for it: quantity. They will have a lot of clubs from a lot of countries and that is a unique quality that the league can hangs its hat on initially. FIBA is definitely trying to promote small European countries a bit more through its international competition, and by giving those small countries and their basketball clubs exposure, that will help make basketball bigger in those countries, and consequently, make Europe stronger as a basketball continent. And plus, for basketball addicts, being able to see as many clubs from as many countries as possible is a plus, just for the niche factor alone, and the qualifying rounds should be something pushed by FIBA when those rounds begin in September. I know basketball addicts like myself would love to see clubs from “lesser-known” countries compete with such high stakes on the line, and FIBA needs to utilize this as much as possible to give it an angle that neither the Euroleague or Eurocup will be able to provide next season under their new formats. Will the talent follow the clubs in the Champions League? Neptunas of Lithuania (blue) has been able to attract some talent, but will other clubs be able to in order to make the CL legitimate? This was also an issue for teams that were demoted from the Euroleague to the Eurocup, but it is a question worth beckoning in this situation as well: will Champions League have enough talent to make the league competitive? Unlike the NBA, clubs see their talent come and go on a frequent basis, and it usually correlates with the competitive status of the club. A club going to the Euroleague is going to garner a lot more talent than one that is being demoted to the Eurocup or Champions League. We saw it this off-season: Maccabi Tel Aviv and Darussafaka Dogus Istanbul were able to get major talent in transfers because of their solid Euroleague status, while teams like Lokomotiv Kuban, Unicaja Malaga and Pinar Karsiyaka lost a lot of talent due to them being regulated to the Eurocup or Champions League. So far, it is difficult to see if the Champions League will have the kind of talent to keep it on par with the Eurocup. Neptunas has been active in the market by keeping Jerai Grant, and Aris and PAOK have made some small, but roster-strengthening moves, but other than that, it doesn’t seem like many of the current clubs in the Champions League have gotten all that better. Eurocup and ProA runner-up Strasbourg lost coach Vincent Collet and may be rebuilding depending on what a lot of their current players decide this off-season (some are contemplating options ranging from the NBA to other European clubs). Pinar Karsiyaka lost their coach as well to Besiktas as well as a lot of talent. And Mega Leks lost three players to the NBA Draft. When it comes to star players shining next year in the Champions League, there will be a lot of opportunities for players to break out on the big stage through FIBA’s competition, since there will not be a lot of initial big names that FIBA can hang its hat on initially while promoting the league. And that is the challenge FIBA will face: what kind of talent should the Champions League promote? Should it promote young, up and coming talent? Should it promote veterans who are getting their last shots? Should it keep it straight and say it is as every bit full of talent as the Eurocup? These questions will be interesting to follow, as there has not been a lot of “team” publicity yet in association with the Champions League on its Web site. But, if the Champions League wants to compete with the Eurocup legitimately, it will not only need good clubs, but good, marketable and exciting players as well. Can the Champions League last? Or is it another failed FIBA idea? FIBA has tried in the past to be a player in first and second-tier competition and failed. Will the CL be different? It is a shame that FIBA could not be satisfied with being a third-tier competition with the EuroChallenge and trying to develop that as more of a “small country” competition to grow and strengthen basketball in smaller, less-basketball-focused countries. I think FIBA’s Golden Goose has always been international basketball, even in Europe, and I think the EuroChallenge and being in charge of a third-tier competition, though not as lucrative as a first or second-tier, presented opportunities for growth and creativity that would have down the road strengthened their Goose: the Eurobasket and other European competitions. But, FIBA wants a bigger portion of the club basketball pie in Europe, and after failing with the FIBA SuproLeague in 2001 (an initial competitor with the Euroleague), FIBA decided to go the next best route: compete with the second-tier competition, the Eurocup. Yes, it’s not as big a piece of the pie as the Euroleague, but it’s a safer and easier route for FIBA to go, and it could also set up the foundation for a coup of the Euroleague down the road as well. If FIBA is in sole control of Europe’s top secondary competition, then it will only be a matter of time before they garner enough teams and talent to directly compete with Euroleague and lure those clubs that solidify the Euroleague as well. However, as history has shown, this hasn’t always worked out for FIBA. 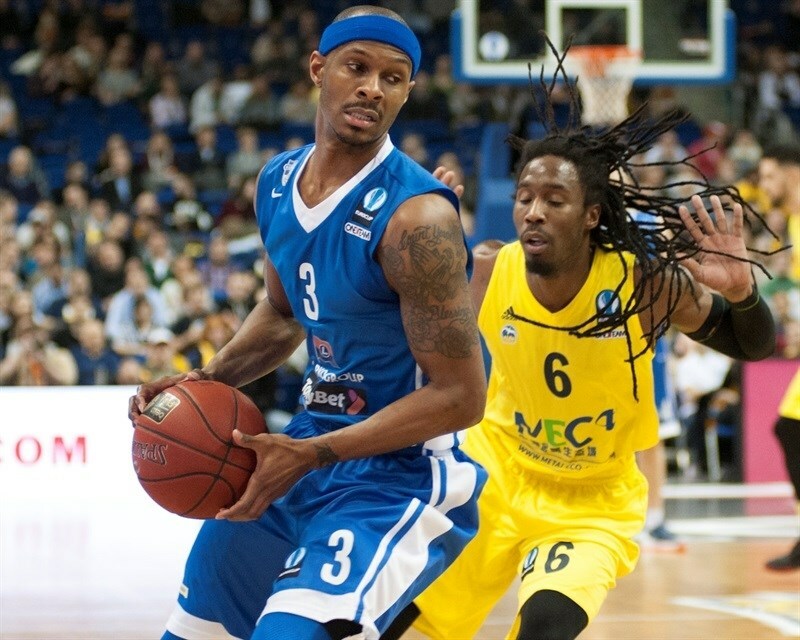 The Europe Cup was a bust last season, and though the EuroChallenge had periods where they tried to directly compete with the Eurocup, it always seemed to fall flat in the end, and FIBA ended up resigning to third-tier status. FIBA is pulling out all the stops to make the Champions League work: they are hitting countries hard with potential sanctions if they are choosing the Eurocup over the Champions League. And it has worked to an extent. There are rumors that by July 11th, the four Italian Eurocup participants will withdraw from the competition out of fear of being sanctioned out of Serie A play domestically. If this does indeed come to fruition, it shows the kind of negotiating power FIBA has. And with this kind of negotiating power and ability to strike down powerful consequences (allegedly), then it will deter people in the future even more from agreeing to participate in the Eurocup, thus making it weaker while consequently strengthening the Champions League. That being said, it will be interesting to see what kind of sanctions FIBA does hand out. After all, Spain probably has the most leverage in this situation, as they have not only the strongest club scene in Europe, but also one of the strongest national teams globally as well. Will FIBA risk shutting them out, when Spain can bring all kinds of competition to Europe in global play? And can the Champions League truly be a Champions League when the best teams from the best basketball country in Europe refuse to participate? The Spain situation makes things extremely difficult for the Champions League to succeed, and Russia’s lack of cooperation with multiple clubs preferring the Eurocup over the Champions League doesn’t help either. Russia doesn’t have the national team pedigree, but their clubs have the money, and the kind of money to lure top talent. And as stated before, the Champions League needs talent if they want to legitimize their clubs and their competition in comparison to the Eurocup. It will be interesting. I do not think that the Champions League will be a 1-year thing like the SuproLeague or Europe Cup before it, as it seems like it has a lot of investment behind it. But it is going to be difficult for FIBA to get over the hump, despite the “sanctioning” power it has. Not having countries like Spain and Russia on board hurts their cause for legitimizing itself, and on a marketing basis, the “Champions League” moniker seems gimmicky, as if it is trying to piggyback on the UEFA Soccer Counterpart and cater to those who aren’t familiar with the European basketball scenery. In all honesty, I think FIBA should have stayed with the Europe Cup or EuroChallenge name, as it would seem less desperate and more unique in the European sporting landscape. European basketball is at a crossroads, and who comes out on top in this Eurocup-Champions League competition will determine a lot about the future of basketball on the continent. It’s difficult to tell who holds the upper hand at this point. The Eurocup has the clubs and the talent to make it the more legitimate competition for fans, but the Champions League has the FIBA backing which is slowly getting more traction after a court upheld the ruling that FIBA could punish countries for choosing the Eurocup over the Champions League. It’s on-court product vs. organizational power. That is what the Eurocup-Champions League battle is all about. Let’s hope European basketball isn’t too scorched when this conflict is all said and done, whoever comes out on top.